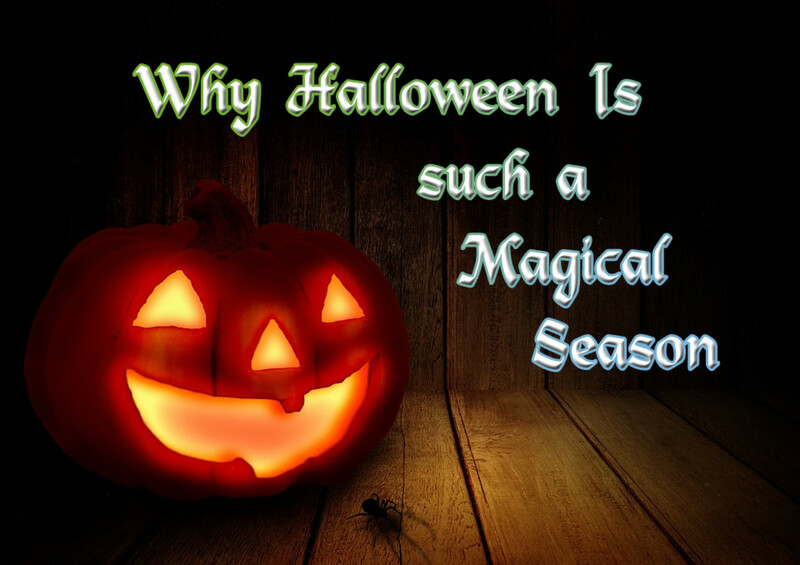 Halloween is fast approaching, and for many people that means costumes, candy and spooky fun. For others it might mean harvest festivals and autumn in its full glory. And for some people, it’s the perfect time to honor their ancestors and dearly departed loved ones. In my religion (Wicca), we take part in all kinds of Halloween fun activities, but the highlight is the solemn time spent honoring our ancestors. It is a tradition that has come to have great meaning in our family. We Wiccans are not alone-- no matter what your religion, culture or beliefs, this time of year is great to spend some time thinking about those who have passed away, and to pay tribute to them in some manner. Honoring the ancestors is actually more for the living than the dead. We’re not remembering them for their sake; we’re remembering them for our sake. The simple fact of the matter is, we are who we are because of those who came before us. Even those generations ago that we did not meet have influenced our lives. Everything from our DNA to our family traditions have at some point come from those who lived long ago. Like it or not, for better or for worse, we are partially who we are because of these people. Honoring the ancestors and our deceased loved ones is simply about remembering them and the role they played. It’s about speaking their names to help us and future generations remember them. It’s about telling their stories and passing them down to the next generation so they are not lost in time. It’s reminding ourselves about this continuity, this endless cycle, and helping to give our children a glimpse of that bigger picture. By keeping them alive in some way, it helps remind us of who we are and where we came from—our roots, that have given our lives a foundation upon which to grow. Do you have any tradition that involves honoring your beloved dead? No, I don't like looking to the past; I'd rather look to the future. No, but I never thought about it before. No, but I think I want to start now. Sometimes but it has not been consistent. Never, it would be against my beliefs/it scares me. This time of year, at least in the northern hemisphere, has always been associated with death. When you think about it, how could it not be? Nature itself is dying all around us. People of the past faced the darkest, coldest part of the year, where food supplies could grow short or where a single virus could wipe out a family. We’re human, and we’re mortal, so death is a scary thing for most of us. It can’t be helped. It’s probably for this reason that our ancestors began honoring their ancestors at this time of year. They believed there was a veil between the worlds that became lifted at this time so the spirits of the dead could come back to earth. The rustling leaves may have sounded like the raspy whisperings of ghosts, the howling wind like the mournful cries of the dead, the flickering firelight may have cast suspicious shadows on walls. Almost every religion and every culture that has existed on the planet has had some kind of festival to honor those who have passed. Buddhists celebrate Obon, commemorating the spirits of lost ancestors. 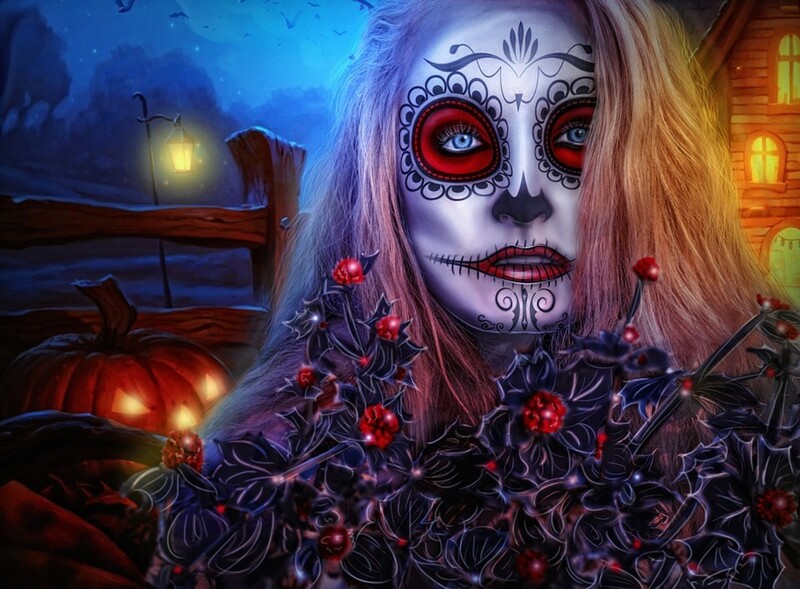 In Mexico, ancient rituals mixed with Christian beliefs, bringing us the famous Dia de Los Muertos celebrations. For ancient Romans, the festival of the dead was called Lumeria. In Nepal, those who died in the previous year are honored on Gai Jatra. 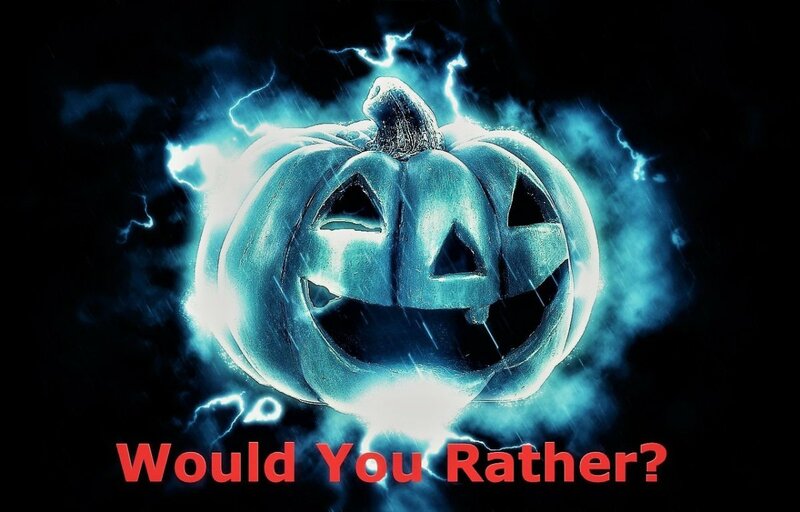 Christians celebrate All Souls Day, while modern Pagans celebrate Samhain. The list goes on and on. 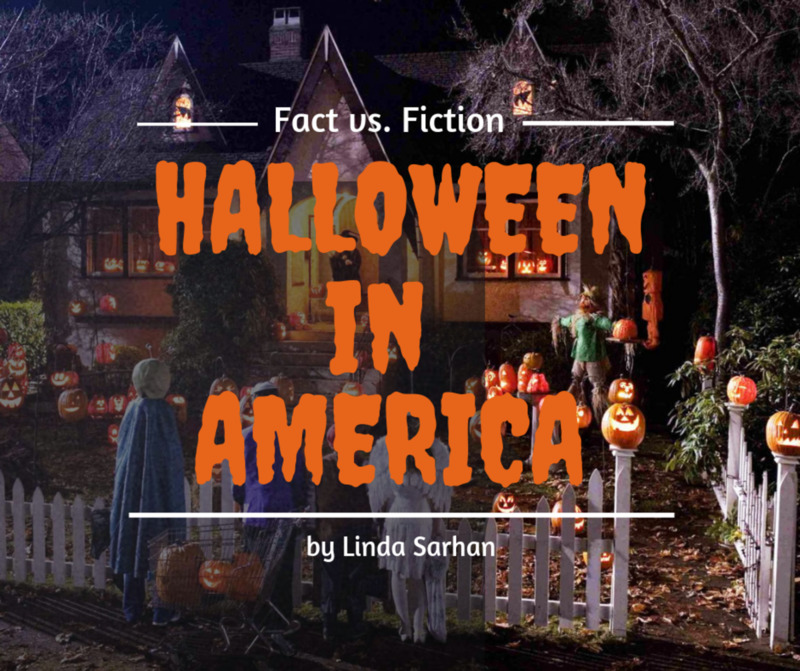 While not all of these celebrations fall at the same time of year, Halloween is rooted in several of them that did have ties to the final harvest season, the season of death. This is what makes this time so perfect for such a celebration. We don’t have to give in to fears and superstitions at this time of year. You don’t have to believe in ghosts. You don’t have to conjure spirits or attempt to commune with the dead. This is not about necromancy. 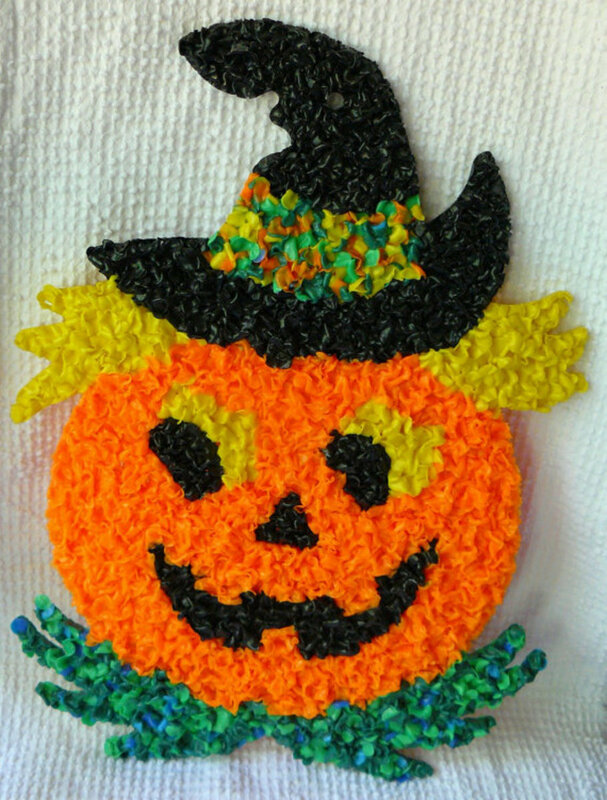 Honoring your grandmother on Halloween after she passes is no different than honoring her on Mother’s Day or on her birthday when she was still alive. This whole exercise isn’t about calling spirits (though if that’s something you believe in and are comfortable with, you can certainly make it part of your celebration). The point is to remember people who were once living and breathing, and who have had some kind of impact on your life. No one is asking you to worship ancestors in place of your Gods, to invite spirits into your home or to participate in any type of hocus-pocus you might consider nonsense. Honoring the dead is not that different from putting a photo collage on the wall that commemorates your childhood, visiting the town in which you grew up, or going to a Memorial Day tribute. If you live near where your departed loved ones are buried, make a pilgrimage this time of year to visit them. Clean up the grave and decorate it with flowers, artificial candles, flags or other items that may have some meaning to you. Take pictures or grave rubbings so you can bring them home to place upon the altar. A shrine makes a great focal point for your memories and activities. Start with a clean, clear surface in a prominent space in your home: the sideboard in the dining room, the mantle in the family room, a small card table erected in the living room or a shelf in the kitchen will do nicely. Begin by dressing it with some kind of cloth or covering if you wish—something representational of the occasion and season. 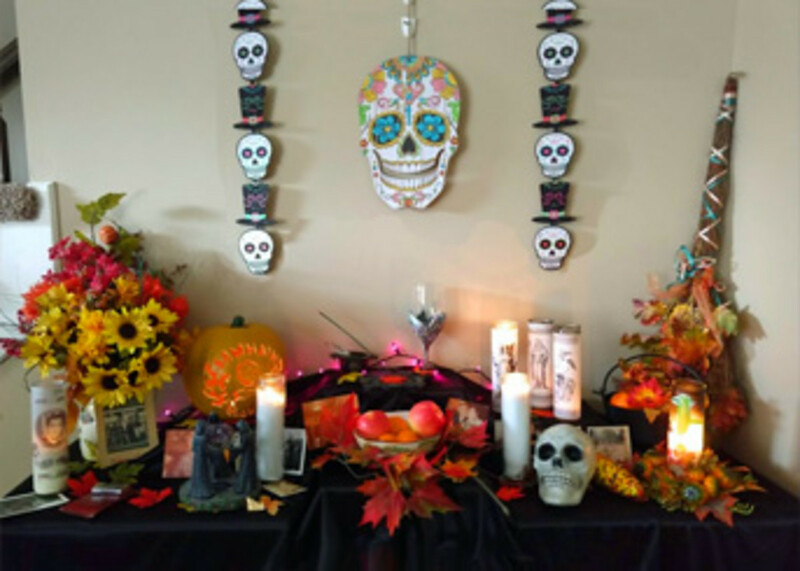 You can then begin decorating your shrine using anything you wish—candles, autumn leaves, harvest symbols, skull and ghost figures, flowers, food. Raid your religion and culture for ideas. If you have Mexican heritage, you may add sugar skulls. If you're Christian you may add a cross. If you're Irish, you might make it a Celtic cross. Of course, don’t forget to put out some photos of your dead, if you have any. If you don’t, you can always write their names on bits of paper, perhaps papers cut out as autumn leaf shapes, skulls, or – my preference – apple-shaped papers. Apples are the ‘food of the dead’ in folklore and it seems appropriate to me. Place trinkets you have that belonged to them on the shrine as well, or ashes if you’re in possession of cremated remains. On Halloween night you may wish to light the candles, burn incense or make offerings of food and wine (again— it doesn’t mean you have to call up spirits. It’s just a symbolic gesture, a ‘giving back’ in thanks for what you were given). Don’t feel like you can only honor your own ancestors. If there is someone who touched your life—a famous author or artist, a founding father you admire, a personal hero from the past, a celebrity whose work touched you, etc., you can also honor these people at this time. Gather near the shrine with some snacks, or perhaps have a nice family dinner with your finest china and glass wear, and talk about your dead. Relive all the old stories that you’ve told time and time again that have made you laugh or made you cry. Share the contributions some of those who went before you might have made to your life, or even to the world. Call up your other friends and relatives and get more stories ahead of time, if you can, to keep things fresh as well. 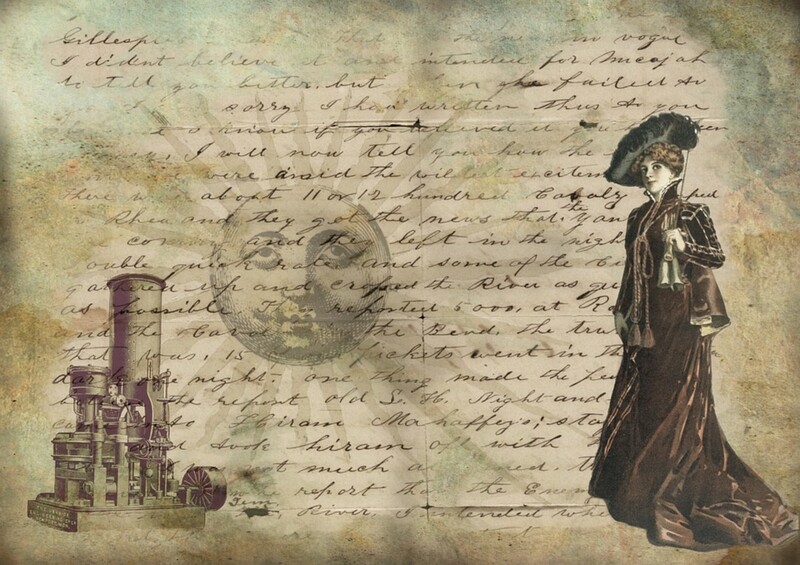 You may want to read someone’s favorite poem, or old letters, show old home movies. 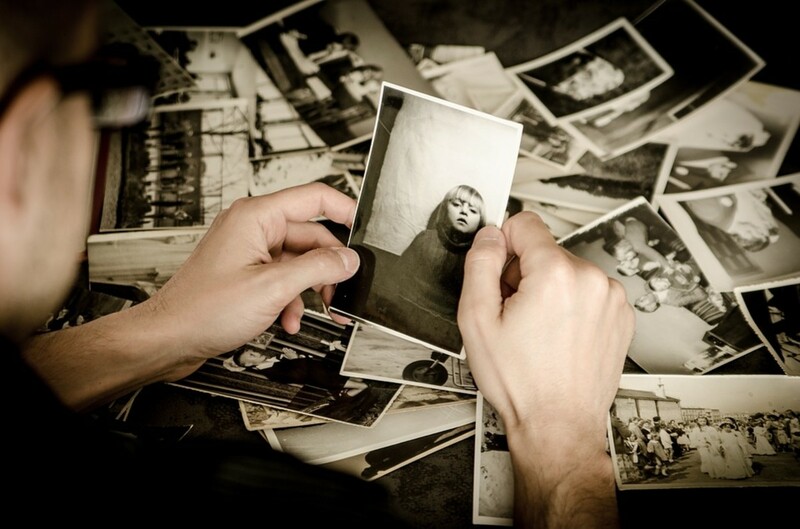 You might also want to pull out the old photo albums and scrapbooks if you wish and take a walk down memory lane and delve deeply into the past. Do whatever feels right to you. During these kinds of celebrations, you may find the night is filled with laughter or tears. If the death of a loved one is still very fresh and a sore spot, honoring the ancestors can be very healing. Let yourself cry, mourn and keen over the loss. If your memories are of happy times, it’s okay to laugh out loud, make jokes and have fun. There are no ‘should be’ behaviors on this kind of occasion—let those present set the tone. Try to keep up honoring your ancestors every year as part of your Halloween celebration. You'd be surprised how meaningful these celebrations can become in time. I know these celebrations have brought my family closer, not just to our departed, but to those still alive. If nothing else, these celebrations remind us to treasure those we love, especially while we still have them in our arms. Establishing a tradition is a great way to help keep your present and your future connected to your past. And, who knows? If you establish the tradition now, maybe some day way in the future, your progeny will be honoring you at this time. Mackenzie, I loved your informative article. 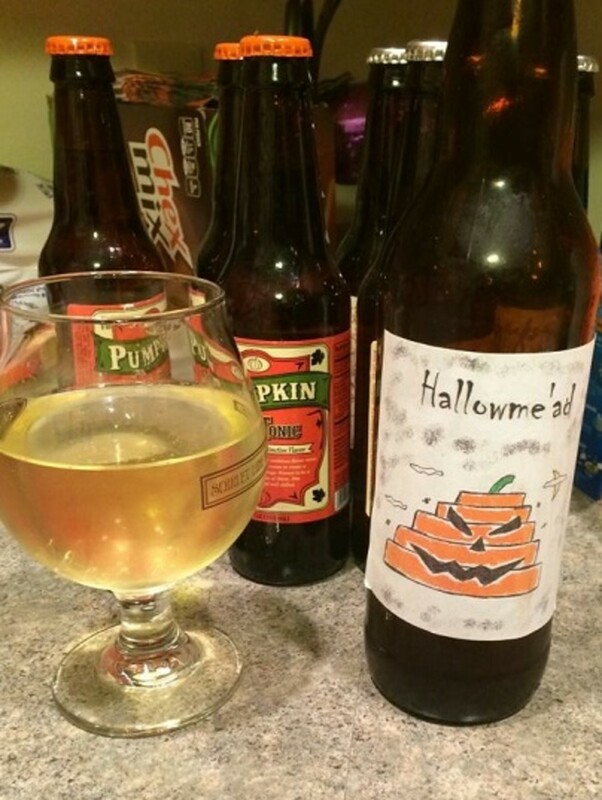 You included interesting information and incredible photographs, happy Halloween. I think it is wonderful to honor our beloved ones that have passed and also those who have touched our lives in some way. What an honor that we get to do these things for them. It truly is touching and heartwarming. I've never understood the fear some have about honoring the dead. It is a custom that has been done for so many years in history that it just seems natural to me. I think it is important that we keep these practices alive so that our future generations do not lose touch with history, family traditions and customs. Wonderful article about something that I hold dear. Thank you for your informed and educational writings.